Short, simple, sweet—and more than likely to spur some similarly slobbery affection between parent and child. 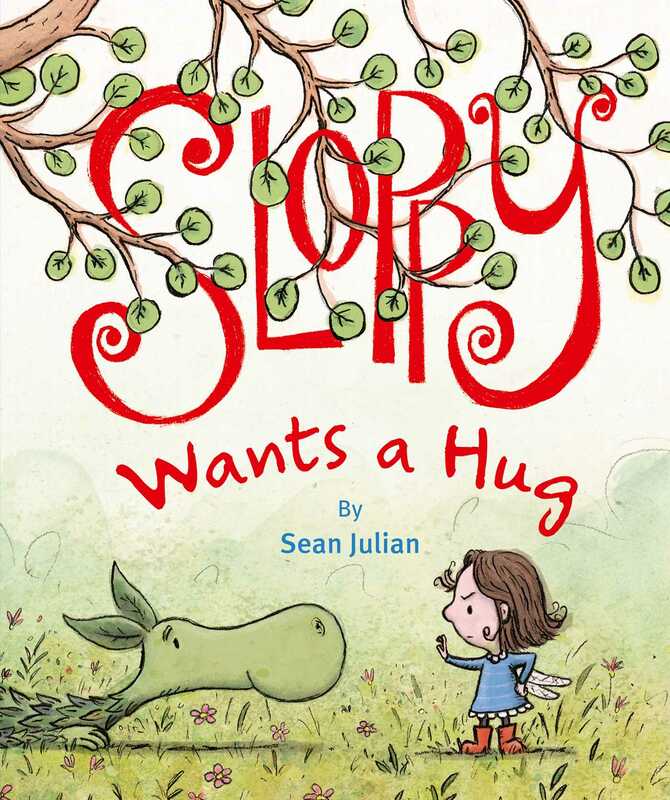 Pacing is everything here as audiences are lulled into sympathy with the hugless dragon until the very last page. Mournful Sloppy, with his eggplant-shaped snout, barely-there mouth, and scales that look like tidy, distinct green leaves, initially doesn’t seem to have earned his name, looking more floppy than sloppy as his sadness deepens. Dewdrop is an effective and expressive targeted snubber, turning up her pert little nose and angling her eyebrows at Sloppy as he tries to get a hug and smiling sweetly at the other critters.